In a 2001 built custom home, this bath was definitely a large luxury bath. 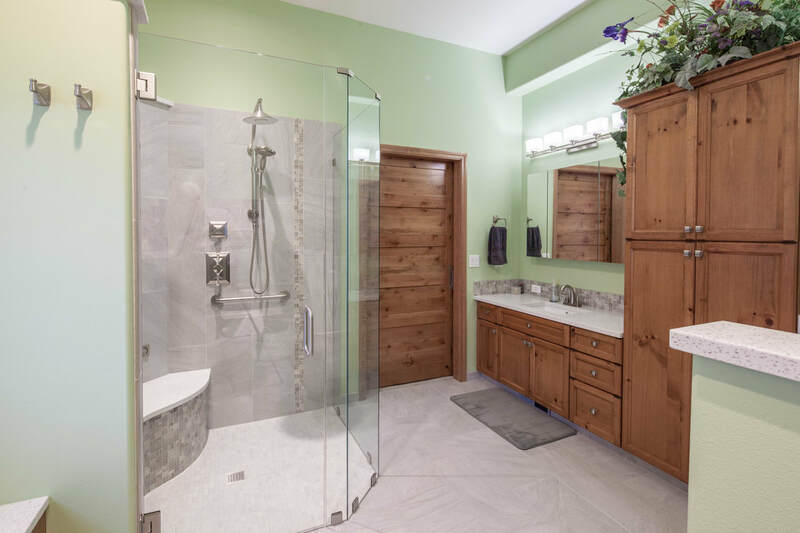 The his & her's double vanity, the jetted tub, double doors, large tile shower, a private toilet compartment, and plenty of space are all the components of a large luxury bath. But as much space as was there, the bath felt a little closed in, dark, and compartmentalized. 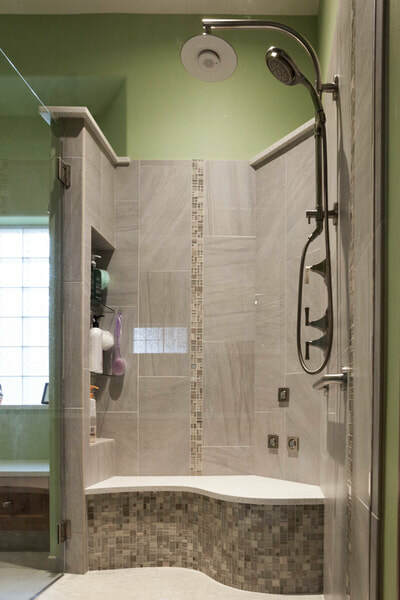 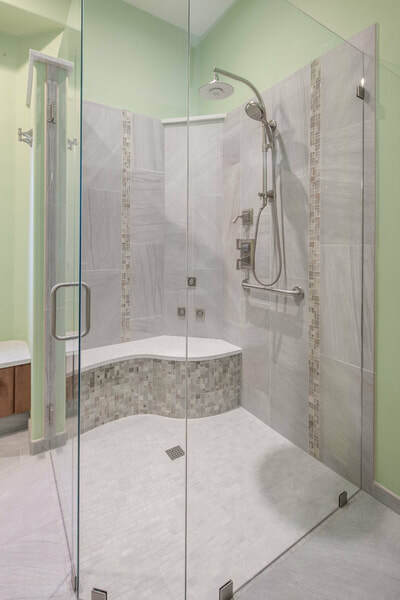 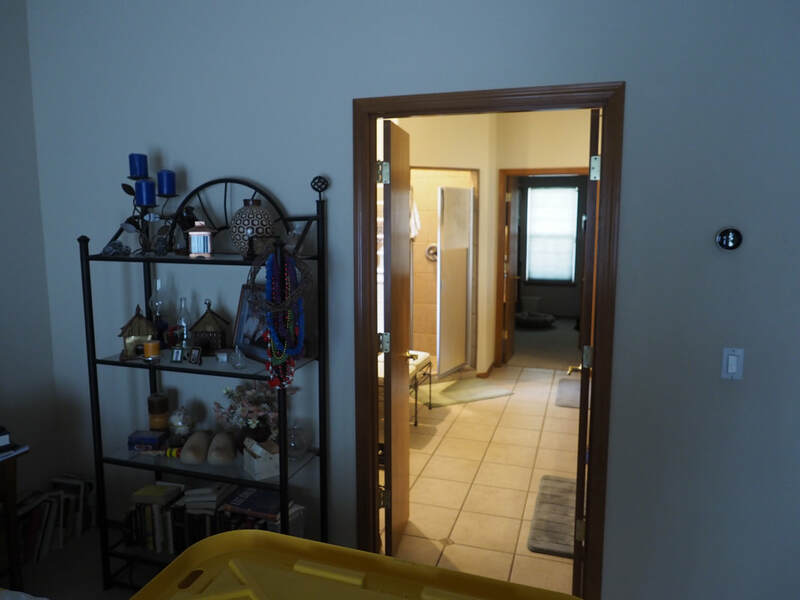 Our clients' wanted a more open feel, heated floors, better lighting, a larger feeling shower, and a more modern style. 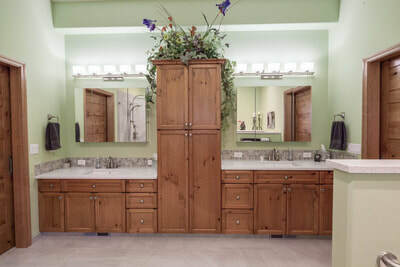 They wanted to keep the his & her's knotty alder vanities. 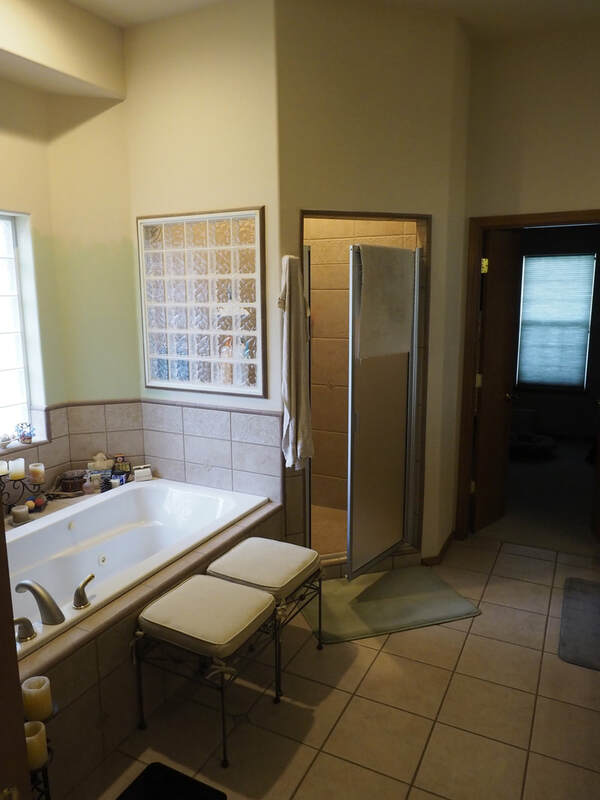 Like so many people, they rarely used the jetted tub and wanted to capture the wasted space. 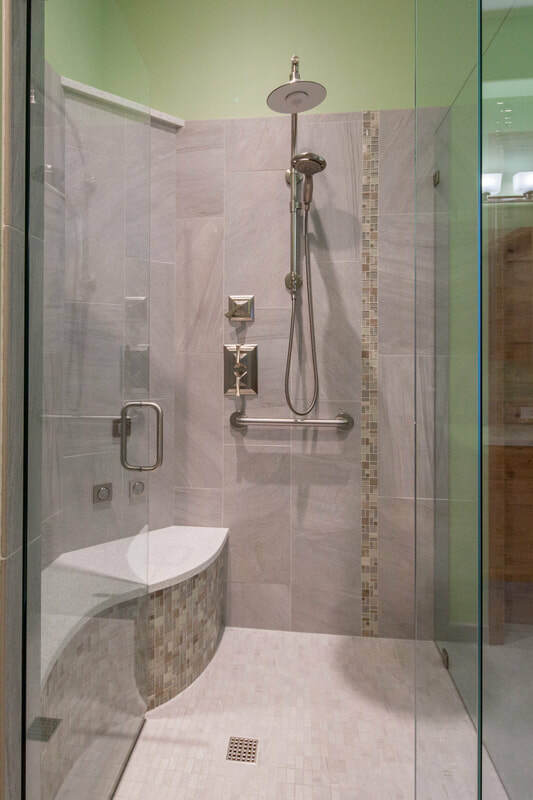 All agreed the glass block window was a great feature that should stay. In order to open things up, we needed to get rid of the tall walls and compartmentalized feel of the space. 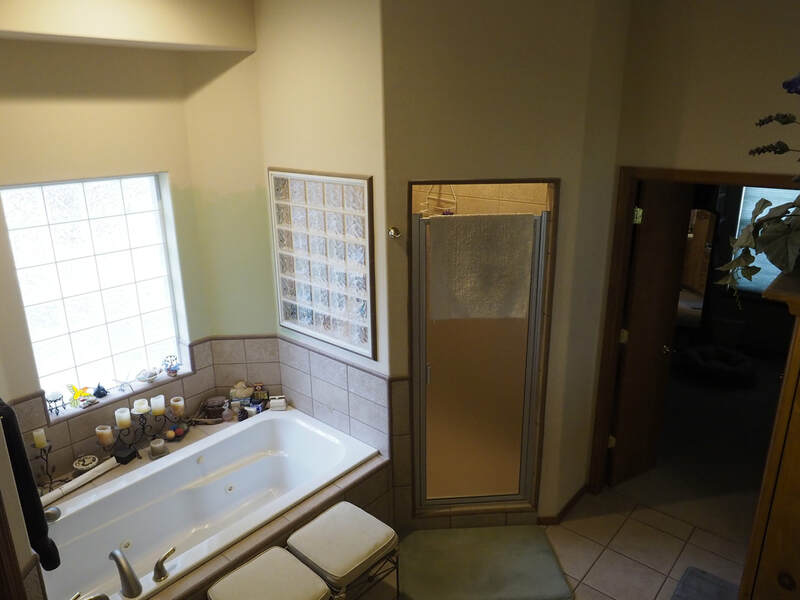 Removing the un-used tub allowed us to widen the shower. The area below the window became a dressing bench, and the walled-in toilet compartment became a larger, semi-private toilet area with additional storage. 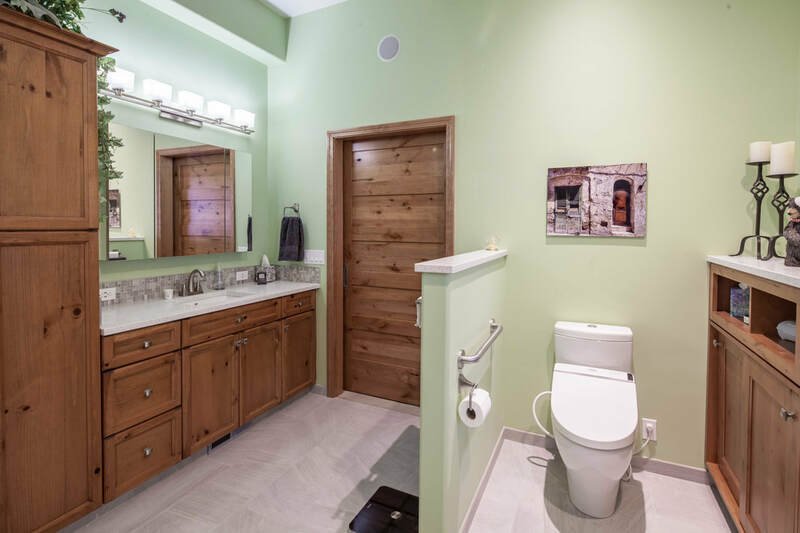 New cabinetry was matched to the existing knotty alder custom vanities, with new quartz countertops, sinks, faucets, & lights. The addition of tri-view medicine cabinets on each side added some much-appreciated eye-level storage space. 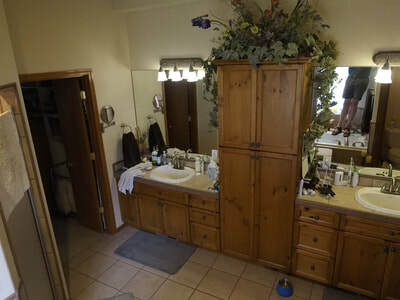 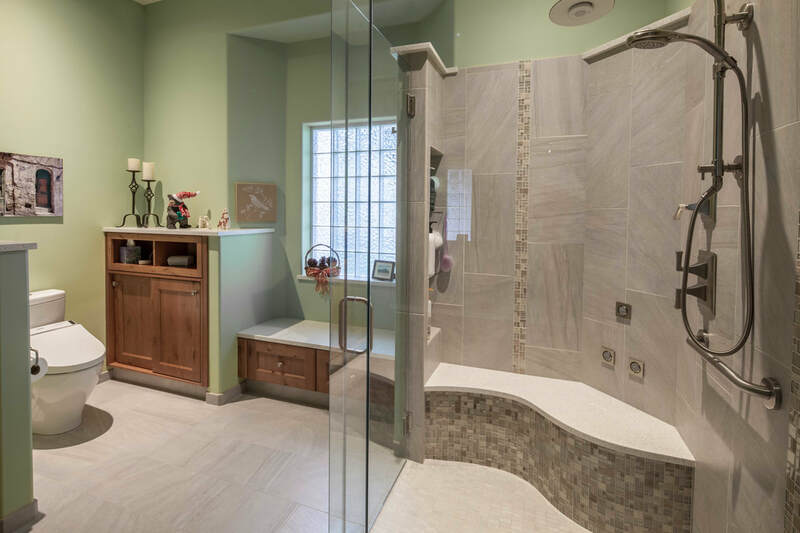 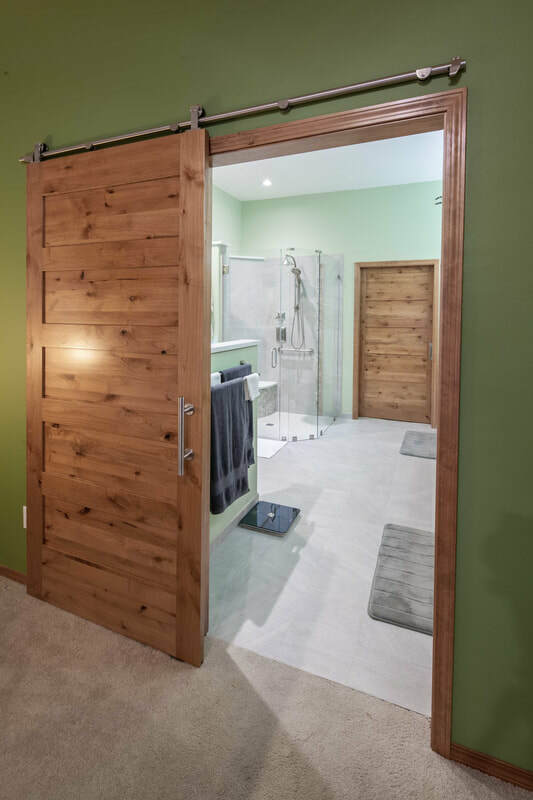 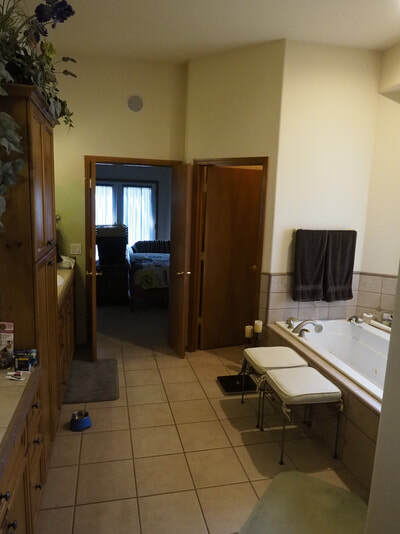 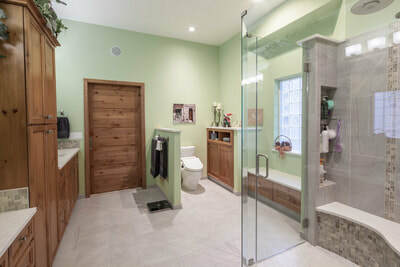 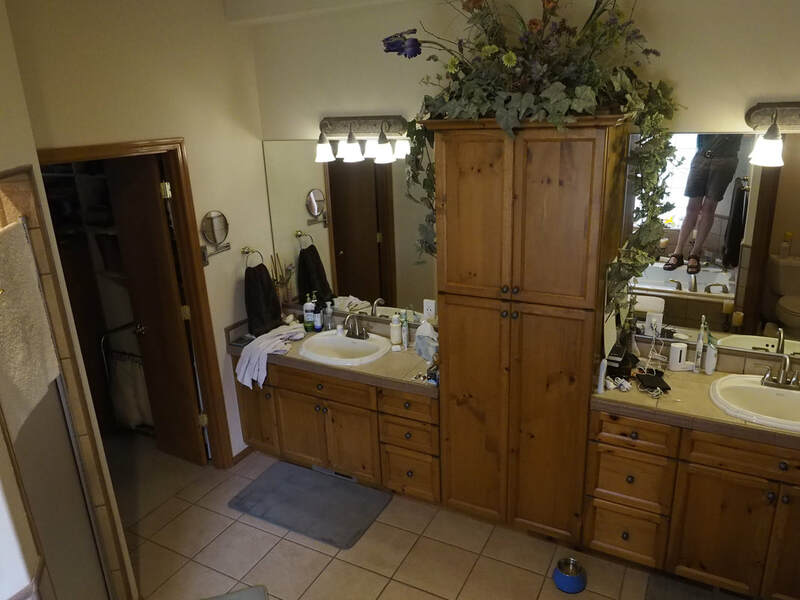 Features include: A Toto bidet toilet seat, heated tile floors, matching custom barn doors, a custom shower with Kohler plumbing fixtures, large shower niche, custom-placed body sprays, a frame-less glass enclosure, a cheerful green paint job, & dramatic, wide-open space. 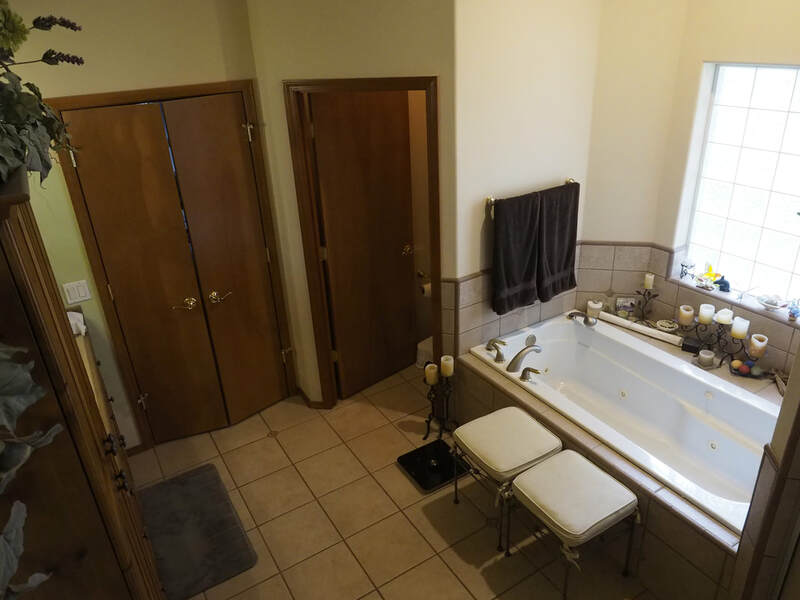 A large bath that now feels as large as it is.